With the XT512 Sonde and Camera Locator, you can locate blockages quickly. The new and revolutionary XT512 combines the portability when using the holstered XTpc package with the low frequency sonde and passive locating capability found in larger more cumbersome locators. 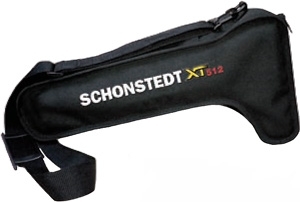 With the XT512 you can locate and determine the depth of your Sewer Pipe Inspection Camera or the Schonstedt Sonde Model TM50910 (sold separately). The XT512 is useful in locating blockages and obstructions in non metallic pipe.